Maraming sakit na nararamdaman si Ms. Navarro pero kayang-kaya ni Doc 'yan. 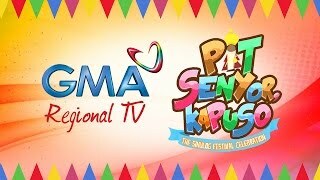 Watch ‘Bubble Gang’ every Fridays on GMA. Chewing it for more than 20 years, the Bubble Gang casts are as still the leader in comedy with Michael V, Paolo Contis, Boy 2 Quizon, Sef Cadayona, Bianca Umali, Miguel Tanfelix, Mikael Daez, Diego Llorico, Myka Flores, Andrea Torres, Jackie Rice, Chariz Solomon, Arny Ross, Gwen Zamora, Betong Sumaya, Antonio Aquitania, RJ Padilla, Juancho Trivino, Denise Barbacena, and Valeen Montenegro.